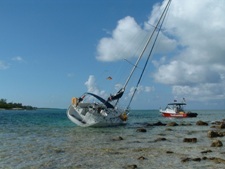 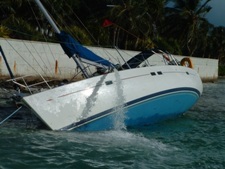 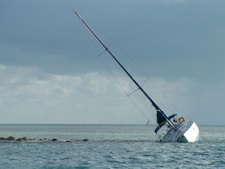 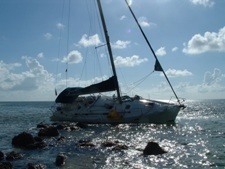 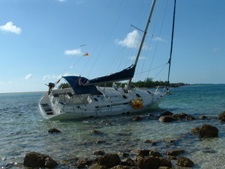 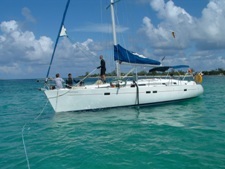 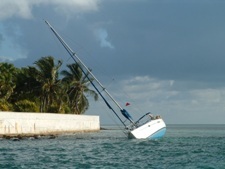 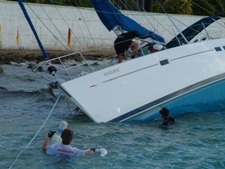 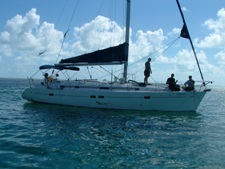 The vessel was aground and taking on water on rocky shoal of Cat Cay, Bahamas with treacherous rocky waters surrounding the vessel. 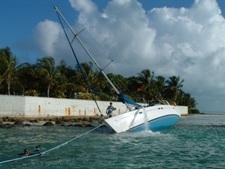 TowBoatU.S Salvage team responded to the vessel. 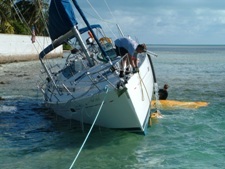 The vessel was righted and raised with numerous lift bags. 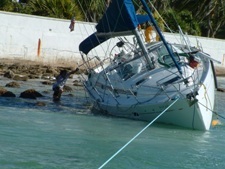 The vessel was dewatered and towed back to the Florida for repairs.